The Colorado Springs Fire Department is one of the national leaders in wildfire safety and wildfire mitigation. 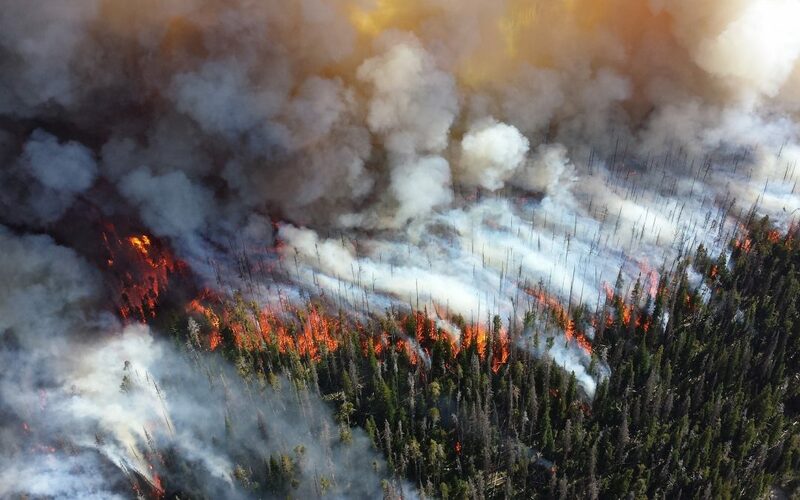 In July, they spoke nationally on how to prevent fire damage now that there have been so many wildfires throughout the state of Colorado. The CSFD spoke with 23 news and radio stations across the nation to get more people thinking about wildfire mitigation and how they should prepare for a fire. Because a fire can happen anywhere at anytime, especially in the warmer months, it’s important that you know how to protect your building. In this blog, we will share the top wildfire safety tips to help you keep your building and business safe from a fire. The CSFD spoke mainly on wildfire mitigation, which uses defensible space and a vegetation management plan to slow down the wildfire and reduce it from spreading. It can substantially increase your safety and it could even save your building from the fire. Fire prevention can be as simple as cleaning up and organizing the inside of your building so a fire can’t easily spread. This will help you keep the building safer and reduce the risk of a wildfire rapidly taking over the entire building before you have the chance to use your fire protection devices. Fire protection equipment is there to stop a fire from spreading. In order to fully protect your building against a fire, you should have fire alarms, fire sprinklers, and fire suppression systems installed. It’s also a good idea to keep a fire extinguisher nearby in an easily accessible place. All of your fire protection equipment should be inspected on a regular basis to ensure it’s in optimal condition. A fire protection company will schedule maintenance services to make sure your equipment doesn’t need replaced or repaired. They can also run tests on your equipment to help you better prepare for a fire related emergency. Frontier Fire offers Colorado Springs fire protection services. We can install, repair, and maintain all of your fire safety devices to ensure you’re prepared for a fire. We also offer 24/7 services in case there’s an emergency. Don’t hesitate to give us a call for any of your fire protection needs at 719-247-1606.